Use the chatbot to issue commands and ask questions. 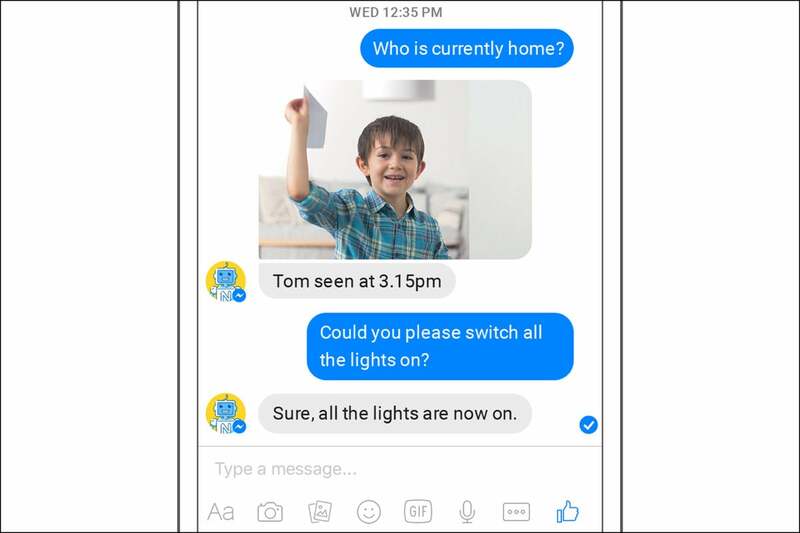 Netatmo has a new way to communicate with smart home devices: a Facebook chatbot that will take your orders and answer your questions. 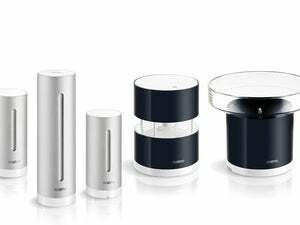 The Smart Home Bot sits between you, the user, and the collection of Netatmo and compatible devices in your home. The questions it can answer and the orders it will follow depend on the devices you have. The former ties into the company’s weather station, while the latter ties into the face detection system in Netatmo’s home security cameras. An illustration of how Netatmo’s smart home chatbot might look on your phone. Instructions can also be issued, such as, “Turn on the lights” and “Set the bedroom temperature to 23°C,” the company said. You’ll need Netatmo’s smart thermometer or radiator valves for the latter command and those aren’t sold in the U.S. 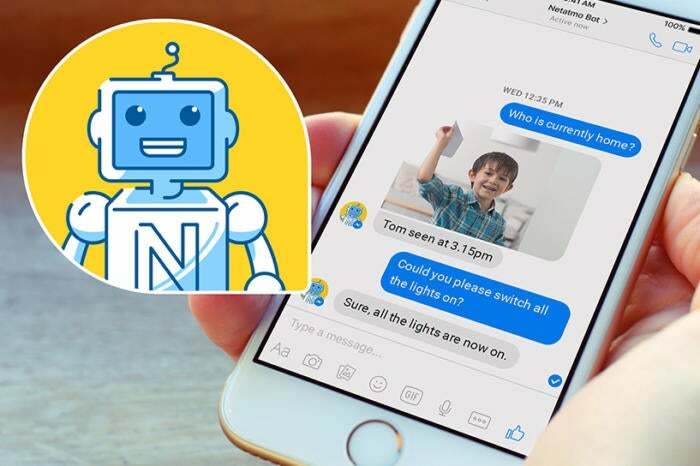 So some of the new chatbot’s usefulness won’t be seen in the U.S., but it could still be a handy way to interact with your smart home, especially if you use Facebook Messenger a lot. 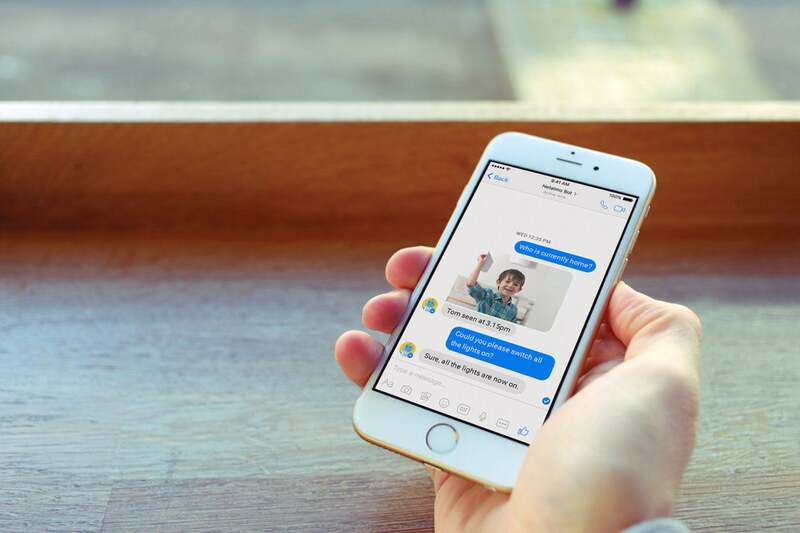 To get started, just fire up Facebook Messenger and start chatting with “Netatmo Smart Home Bot.” The service is free and a beta of the English-language version is already running. Other languages are promised to follow. Netatmo’s smart home chatbot will answer your questions and take your orders, but it’s only successful if you have the right gear.